Gently open the cans, and scrape just the white solid portion out of the first can, avoiding the liquid at the bottom, into a large bowl. For the second can you can pour the entire thing into the bowl, liquid and all. Add in the vanilla and sugar and beat with an electric mixer until fluffy! 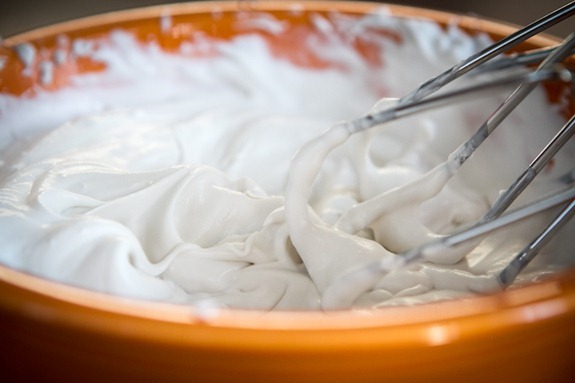 Note: If you want a stiffer cream, use 3 cans, only using the solid portions.